About Jenness > NewsBlog > Events > Concert was a Success! “Wow! Jenness was AWESOME!!! Truly, one of the best performances we’ve seen at the Wagner.” – Pre-Dinner Sponsor and VIP. Stay tuned for the Concert Video, which will be made available on this site and other video platforms. 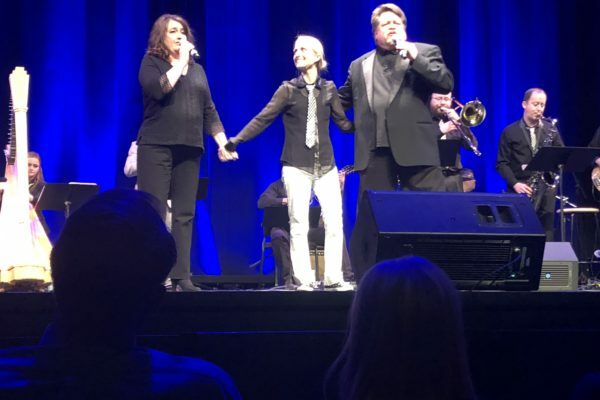 (Picture: Jenness sings the finale, “Time to Say Goodbye,” in an operatic trio with her mentor and former voice coach, David Corman, and his wife Kimberly, to close out the show).